It's that time of the month again! 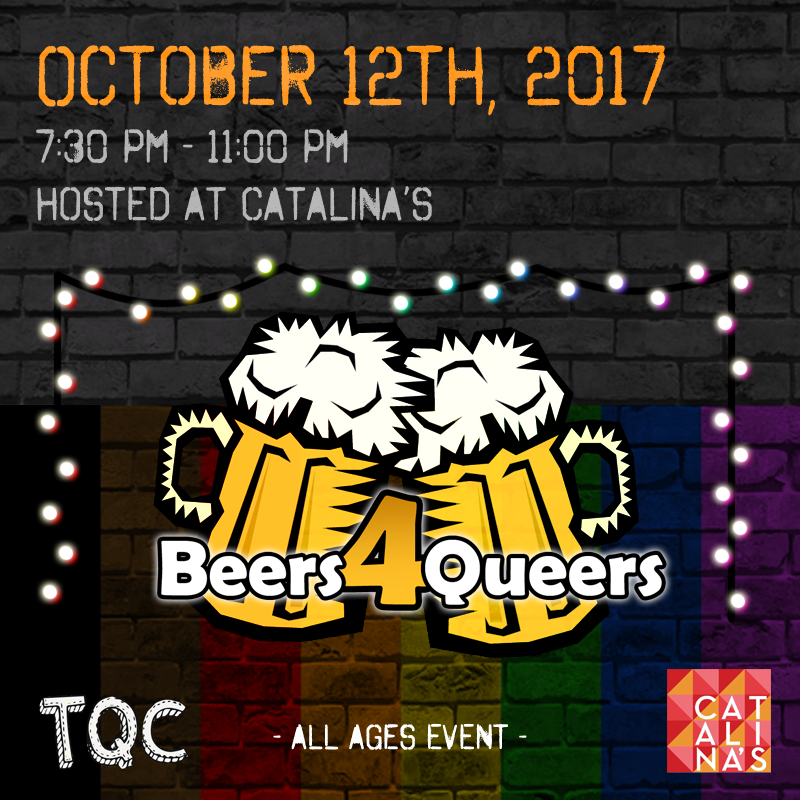 The TQC is putting on our second B4Q pub night of the year, and we want you to join us! Come out on Thursday, Oct 12 from 7:30 - 11 pm to enjoy drinks, laughs, friends, and board games! This time we will be facilitating board games and card games throughout the night, so feel free to bring your favourite game along or see what we have to offer! As usual this event is all-ages. You don't need to be of-age to show up, but you do need to be 19+ to order alcohol.